Jennifer Araiza is part of the change we wish to see in the world, a Supermom of the 21st century. If working full-time and taking care of four children wasn’t enough—two years ago Araiza and a group of local supporters started a nonprofit organization from the grassroots up, called The REC Center. What started as a few local parents coming together to find quality after-school instructors for their own community quickly became a high demand recreational program in both Riverside and San Bernardino Counties. “Many families, including myself, were taking our kids to Riverside or Redlands for quality recreation and art programs. It was important for me to bring these programs closer to home,” said Araiza. Close to home is right. After recognizing the impact of not having a Parks and Recs department in her community, Araiza saw the need in her hometown of Grand Terrace and made it the birthplace of The REC Center. But it didn’t stop there. Other communities and organizations learned about the program and worked with Araiza to bring the The REC Center to their area as well. Now, after the Feb. 1 Grand Opening of the Bloomington site located at 18604 Jurupa Avenue, The REC Center has three sites (Grand Terrace, Highgrove, Bloomington) that offer recreational opportunities to local residents of all ages. According to RECstar.org, The REC Center seeks to bring education-focused recreation programs to communities that may otherwise not have them. Araiza says the focus this year is to attract more teenagers to their classes where they can learn a skill like disc jockeying or painting that may not be offered at their middle school or high school. For many residents, Araiza and her supporters represent a Parks and Rec coalition that fill a big void in the neighborhood. “Smaller and unincorporated communities shouldn’t have to travel so far for the resources larger communities have at their fingertips,” said Araiza. 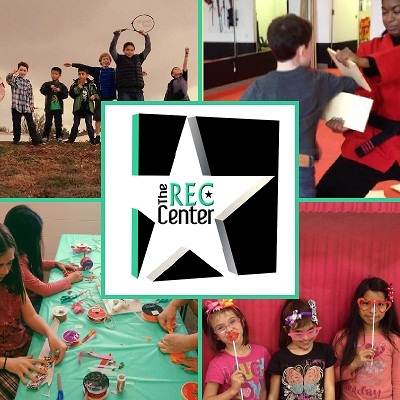 The REC Center serves all age groups and offers these classes and more through May: clay, yoga, crochet, computers, theatre, piano, art, guitar, vocals, dance, tae kwon do, and cheer. Visit their website at RECstar.org for the complete schedule. If you would like to support The REC Center you can help sponsor a child in need of financial assistance or become an instructor, email info@recstar.org or call (909) 728-1081 for more information.